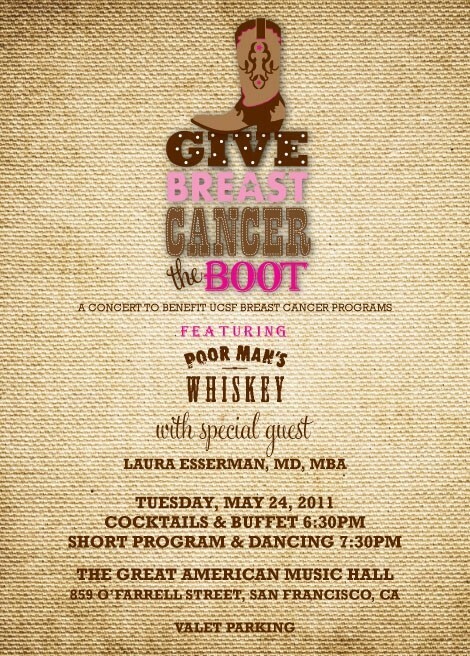 About.me will be taking profile pictures with photographer Jennifer Graham tonight at the Give Breast Cancer the Boot event at Great American Music Hall in San Francisco. Click the image to purchase tickets! Great cause. Wish i could be there. Will be sending good thoughts and support from LA. Here is a Breast Cancer Glossary I created for the iPhone and iPad.